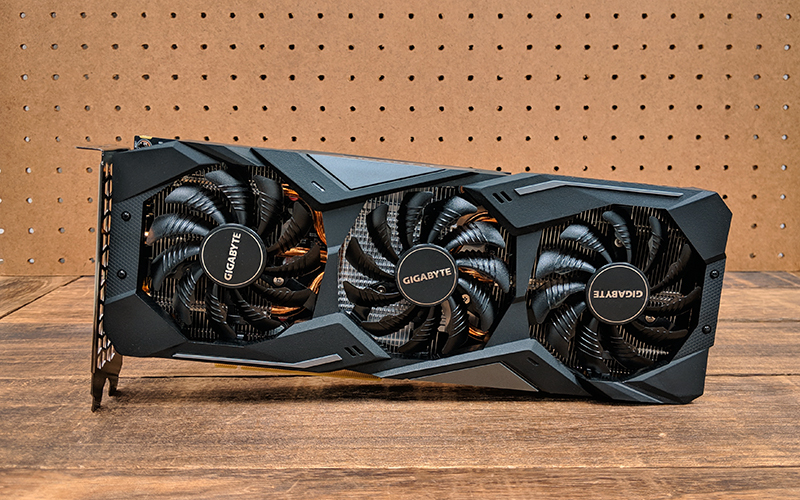 NVIDIA's just-launched GeForce GTX 1660 Ti graphics card is a great GPU for mainstream gamers. It features all the improvements of the new Turing architecture, but sheds the dedicated RT and Tensor cores to create a more affordable product for the masses. The company is skipping the Founders Edition model and going straight to launch with a wide selection from its board partners. 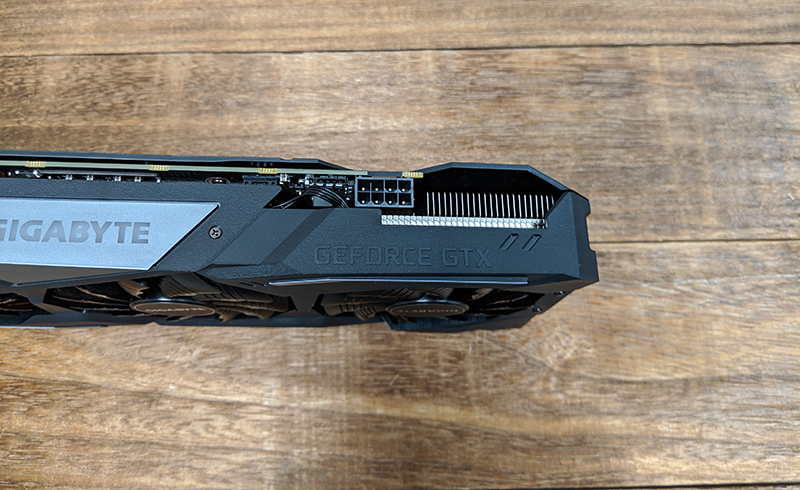 I've already covered the finer details of the TU116 GPU in my review of the ASUS ROG Strix GeForce GTX 1660 Ti Gaming OC, so you can head there to find out more about the improvements NVIDIA made with Turing. 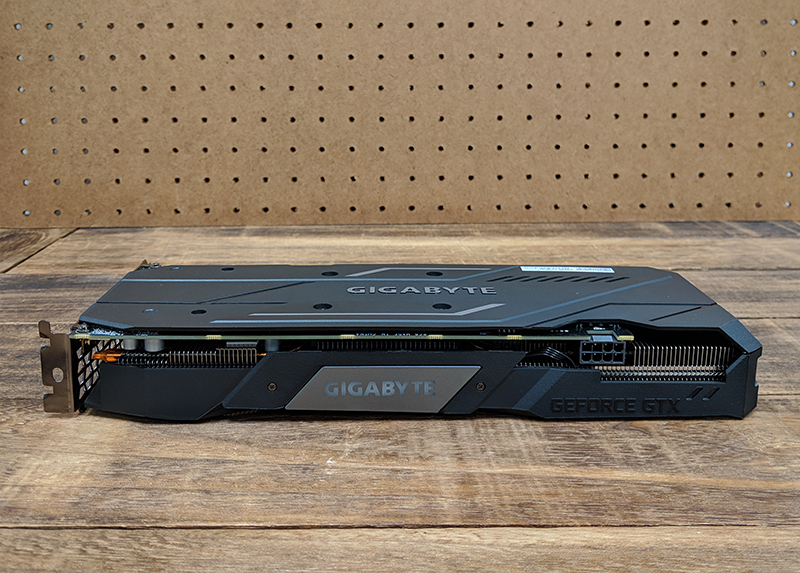 The Gigabyte GeForce GTX 1660 Ti Gaming OC I'm reviewing here today looks like a direct challenger to the ASUS card in terms of features and design. It also features a triple-fan cooler, boasting three 80mm fans that support semi-passive operation and will spin down when the GPU temperature falls below 60°C. The fans sport raised ridges on the flat edge of each blade, which supposedly help guide air more smoothly through the heat sink. 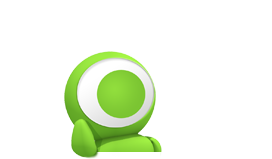 They also spin in alternate directions, with the middle fan spinning clockwise and the other two spinning anti-clockwise. 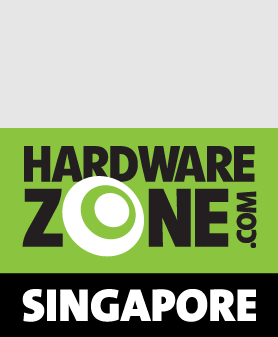 According to Gigabyte, this helps ensure that air flows in the same direction between the two fans (refer to the opening image), thus reducing turbulence and improving heat dissipation. The card relies on three composite copper heat pipes to draw heat away from the GPU, with Gigabyte opting for a direct-touch approach instead of a copper contact plate. The heat pipes are flattened where they come into contact with the GPU, in order to maximize the surface area available for heat transfer. In addition, they are hollow, combining thermal conductivity and phase transition to channel heat away more effectively. The heat sink array actually extends beyond the PCB itself, so it looks like the card has been overengineered to provide better cooling. 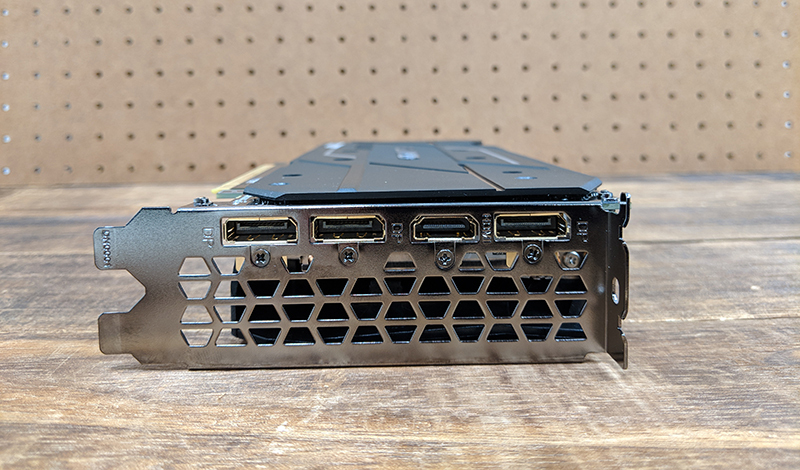 After all, the GeForce GTX 1660 Ti has a TDP of just 120W, so it would probably have been pretty happy with a more compact cooler that would make it a better fit for mini-ITX cases. Not that Gigabyte doesn't have such models, but this particular model is designed to be pushed beyond its base design specification. 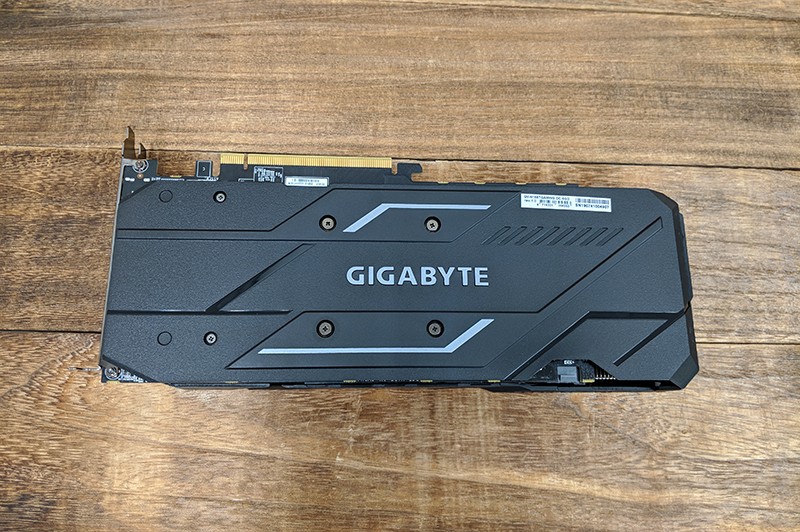 There's a dedicated contact plate for the VRAM and MOSFETs that acts as a heat sink as well, so Gigabyte hasn't neglected those crucial components. Finally, the card is capped off by a plastic backplate that wraps around the front. Metal would definitely have felt more solid and robust, and there's some noticeable flex to the plastic plate. Still, some reinforcement is better than none (although it does mean that the backplate can't help with heat dissipation), and I like that the PCB is not left exposed. Furthermore, the use of plastic makes the card lighter, so you don't have to worry about the GPU sagging. For the neat freaks among us, the full plastic covered back also means easy maintenance when you want to wipe down accumulated dust. Gigabyte hasn't missed the chance to include some RGB lighting either, but the implementation this time is rather simple. The only thing that lights up on the card is the Gigabyte logo on its side, but you can still customize it using the company's RGB Fusion 2.0 software. I don't mind the muted look of the card at all, and it's probably more fitting for something at this price point. When it comes to overclocking, the Gaming OC utilizes a 4+2-phase power delivery subsystem, and features over-temperature protections and load balancing for each MOSFET. It's also powered by a single 8-pin power connector, the same as the ASUS card I previously reviewed. There is a slight overclock to the boost clock, and the card has a 1,860MHz boost clock (up from the reference 1,770MHz) and 1,500MHz base clock. The display outputs are pretty standard too, comprising three DisplayPort 1.4 ports and one HDMI 2.0b connector.